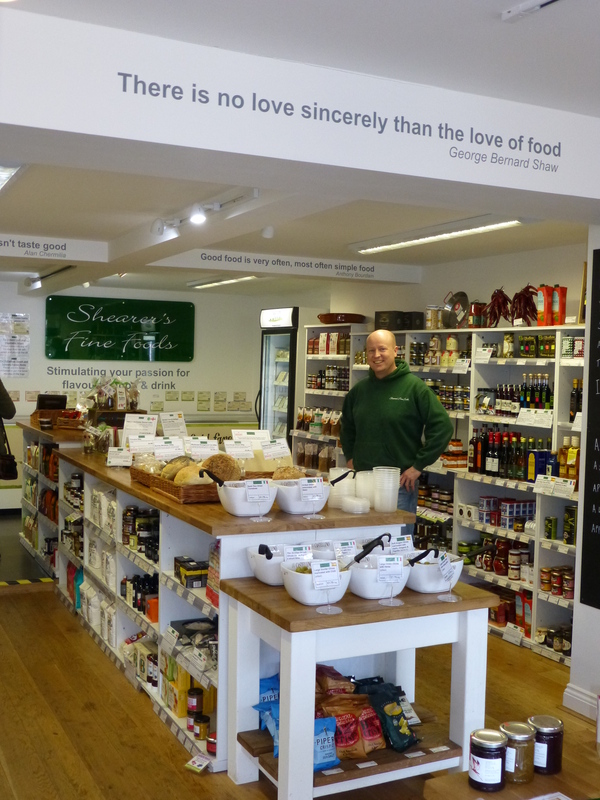 If it’s great flavourful food and drink you want, then Shearer’s Fine Foods is the place for you. We have an extensive range of handpicked products to help make either a special meal or an everyday meal special. 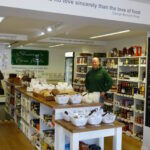 My friendly and helpful team are always on hand to answer your food questions, offer advice, provide information, suggest recipe ideas and offer tastings so that you leave us as passionate about our products as we are. 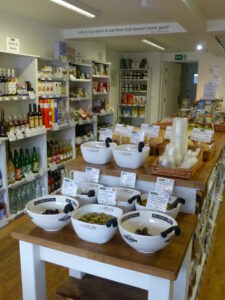 When you visit us you will find an extensive cheese and charcuterie counter, a serve yourself olives bar and a full range of ambient, chill and frozen deli ingredients.We change our range through the year but you will always find many award winning products, many lines from local producers and many Spanish specialties imported from artisan producers. 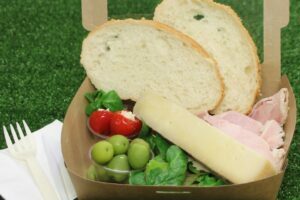 We also offer a food to go service which includes fabulous sandwiches, tapas boxes and picnics. 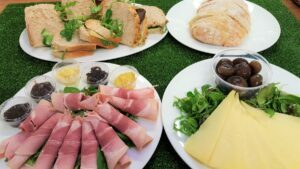 We only use products from our deli range for our food to go as we believe that every meal or snack should be full of flavour and bring a smile to your face. There are always tastings going on so why not call in and see what everyone’s talking about.